The paper gold market and the physical gold market bear little resemblance to each other. Assuming free trade exists, two different markets for the same commodity cannot last. Divergences between markets offer traders arbitrage opportunities (buying in one market while simultaneously selling in another). A gold market arbitrageur might buy gold futures, stand for delivery and resell the delivered gold into the physical market at higher prices. If this sequence happens on a large enough scale, we could see a default in the gold futures markets. Comex futures contracts would get settled in cash, while the physical gold price would keep rising. Even if arbitrage never occurs in gold, it’s still dangerous to be short gold futures in this environment. Short sellers hold contracts to deliver a commodity likely to remain in high demand. And short positions in gold futures are near record highs — a development that often precedes sharp rallies. A Diversified Basket, All In One! I’ve recently taken note of Tocqueville Gold Fund (TGLDX). TGLDX is one of the best-managed gold mining stock mutual funds. Tocqueville has a patient, value-focused approach. Just 10% of its portfolio turns over in a typical year. It seeks exposure to overlooked and undervalued gold stocks across the world and holds a mix of gold bullion, large miners (like Newmont), royalty companies and small growing miners. Portfolio manager John Hathaway held a conference call after the mid-April gold futures market crash. He noted that the trading volume over the two-day crash was unprecedented, involving a mountain of paper contracts, rather than physical gold. One million futures contracts totaling 100 million ounces of gold were sold in just two days — a volume that exceeds global annual gold production by 12%. The rationale for holding gold (central bank money printing, negative real interest rates, financial repression) is still intact. Europe continues to be in no-growth mode, the U.S. is experiencing slow growth and China’s growth is weakening. Under stagnant growth scenarios, sovereign debt burdens don’t go away and politicians are tempted to seek inflationary measures to lessen the impact. We believe the current panic crash will lead to a renewed bull market for gold. Since mining stocks are derivatives of gold’s price, any increase in gold’s price should have even greater impact on the price of mining stocks. Mining companies are becoming more conservatively managed and have room to increase dividend payouts. The marginal cost of production for miners is approximately $800 per ounce — far below gold’s current price. 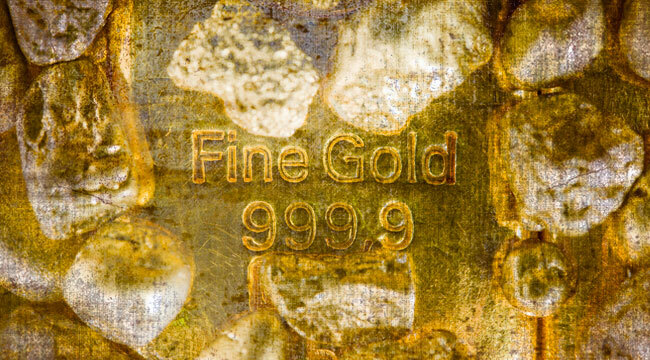 The Tocqueville Gold Fund (TGLDX) is a good addition to a portfolio looking to boost exposure to cheap gold mining stocks. Switching gears, let’s talk about another opportunity — this time in silver. At today’s prices, Silver Wheaton (SLW) stock is the cheapest, most attractive way to invest in silver. Management continues to create value for shareholders. SLW’s long-term fundamentals have not changed. But like all precious metals-related stocks, it has been punished relentlessly: down 37% year to date. Silver Wheaton is the largest precious metals streaming company in the world. Here’s how it operates: In exchange for an upfront payment, SLW has the right to purchase all or a portion of the silver and/or gold production, at a low fixed cost, from high-quality mines. It owns more proven and probable silver reserves than any other company in the world: 847 million ounces. One recent concern about the company is its exposure to Barrick Gold’s Pascua-Lama project; SLW owns 25% of the mine’s future silver production. Pascua-Lama, which straddles the border between Argentina and Chile, has become a symbol for the gold mining industry’s shortfalls. The latest hit came on news that Chilean environmental regulators fined Barrick $16 million for issues related to the project’s water management system. Pascua-Lama’s expected capital cost has soared from $1.5 billion in 2006 to $8.5 billion. But once that capital is spent, the payback period should be rapid: Barrick estimates cash costs of just $200 per ounce of gold produced. Pascua-Lama could wind up being a very profitable mine: It’s one of the world’s largest gold and silver resources; it holds nearly 18 million ounces of proven and probable gold reserves and 676 million ounces of silver. Annual production in the first five years is expected to average 800,000-850,000 ounces of gold and 35 million ounces of silver (one-quarter of the silver will go to SLW). Smallwood’s conservatism in reinvesting cash flows is another reason for the tepid interest in SLW stock. For years, its operating cash flow has greatly exceeded its investments in new silver streaming contracts. For example, in February, management announced a major gold streaming agreement with Brazilian mining giant Vale. The agreement provides Silver Wheaton with 70% of the gold production from Vale’s Sudbury mines for 20 years. Sudbury is an underground mine in Ontario, Canada. SLW also gets 25% of the gold production from Vale’s Salobo mine for the life of the asset. Salobo is a low-cost, open-pit copper/gold mine in Brazil. Silver Wheaton rewards shareholders with a healthy dividend policy, while retaining enough capital to fund growth: It distributes 20% of the previous quarter’s operating cash flows as a cash dividend. Cash flow should continue growing rapidly due to two factors: production growth and rebounding precious metals prices. It’s hard to imagine another company with more dividend growth potential. SLW’s current dividend yield is 2.1%. The upside in cash flows through 2017 alone could drive the yield on today’s $22 stock price to greater than 5%.